*This post is sponsored by Harold Hamm Diabetes Center. All opinions, text, and advice are my own. Late summer, seems to me, to be the time of ripening corn, early sunsets, and of course visiting the fair. 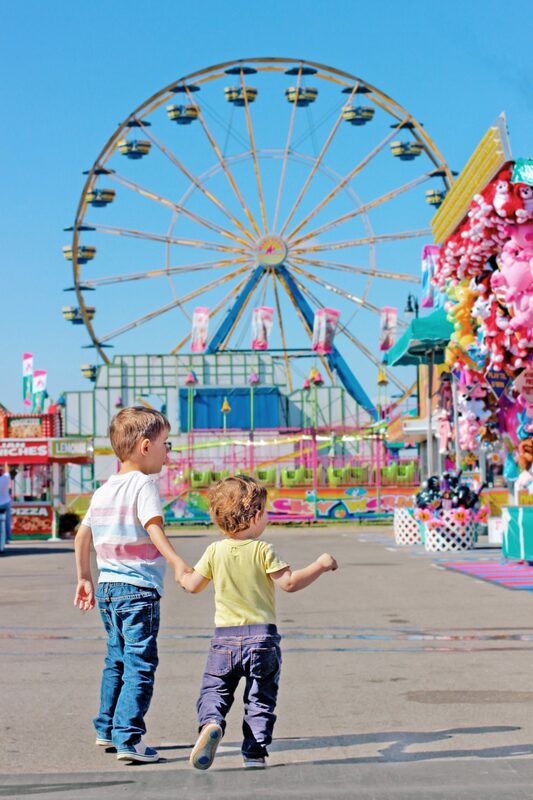 The sound of engines starting, cows mooing, and the carnival music brings with it a wave of nostalgia as do the smells of funnel cakes frying, cotton candy spinning, and corn on the cob being boiled. I think it is only as an adult that I am aware how unique the way we experienced the fair really was. Each spring we would go together to the cattle market to buy calves. We would raise them through the summer, and sell them in the fall. The task of caring for them was a family affair. The money earned was used to take our family adventures. 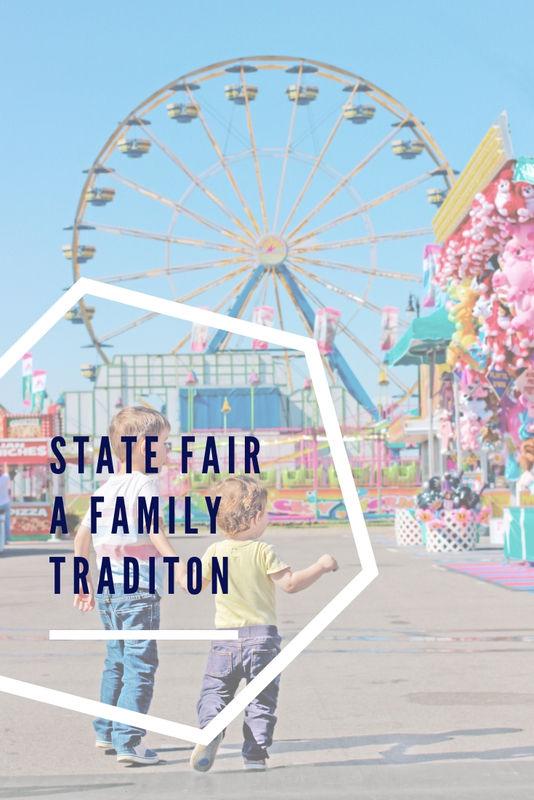 Every other year, we would go on a long family trip that led us to see a majority of the United States, but on “off years” we would attend the state fair. Being pre-internet my parents would scan activity lists upon arrival, and we would all pick activities we wanted to see that day. Usual favorites included log rolling (I grew up further north), horse racing, carnival rides, and viewing the cow carved of butter. We always ended the day eating a funnel cake together as a family. As soon as I had children of my own, I knew I wanted to carry on these traditions for our own family. We have been to the State Fair every year since. The first year I was amazed how each state does fairs so differently. 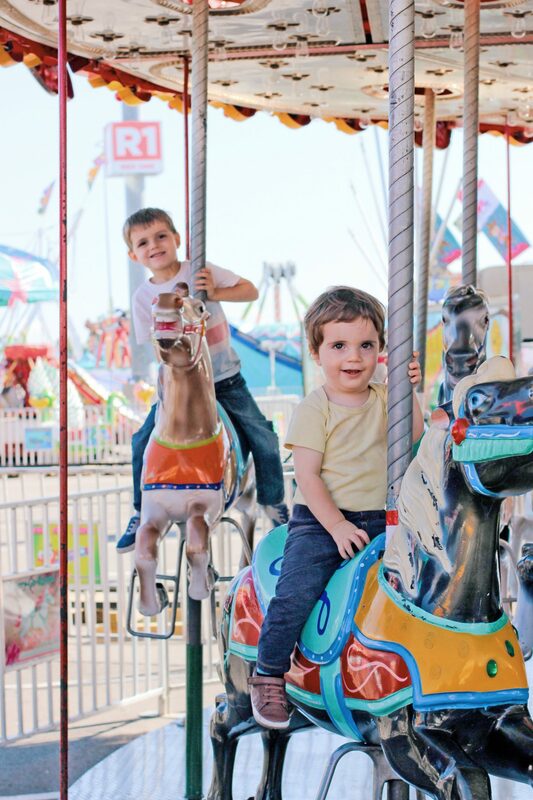 We soon fell in love with the petting zoo, cowboy themed events, and enjoyed old standbys like a funnel cake and carnival rides. 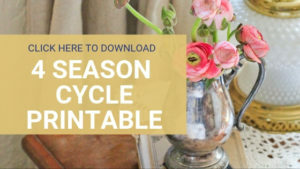 I’ve already scanned the online calendar and look forward to showing the kids the Hands on Exhibit, and Great American Petting Zoo & Pony Trail Ride for the first time. Looking back the neatest thing about the way my parents did the fair was what a minimal emphasis they put on fair foods (something I learned is quite different culturally from Oklahoma). They packed a healthy lunch that we enjoyed half way through the day. The very last thing we would do, before leaving the park, was to order and share that funnel cake among the 5 of us. Of course, at the time, we thought we were being tortured by the food smells all day. Looking back I can’t help but feel like the anticipation added to the enjoyment. 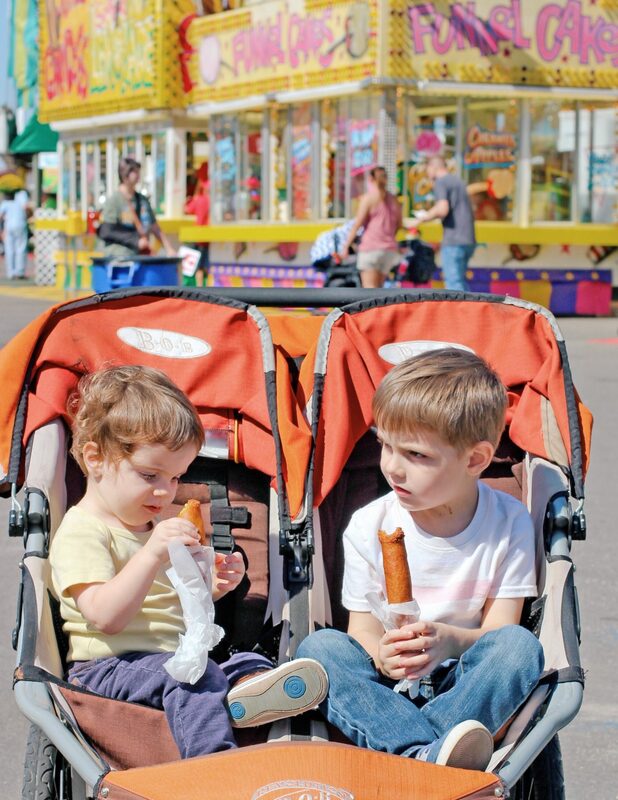 The first year I went to the fair without my parents, my husband and I went all out on fair food. That year we ordered corn dogs, cotton candy, bacon cheese curds, chili cheese fries, and a funnel cake. I was so excited I got to eat everything I ever wanted, but within an hour or two we were both so sick we had to leave. After a week of walking, and nursing our digestive tracks back to health with fruits and vegetables. We then decided that picking one or two things that we REALLY wanted to enjoy was a better way to raise our boys as well. If you are interested in building a healthier lifestyle for your family, please visit Harold Hamm Diabetes page for more information! 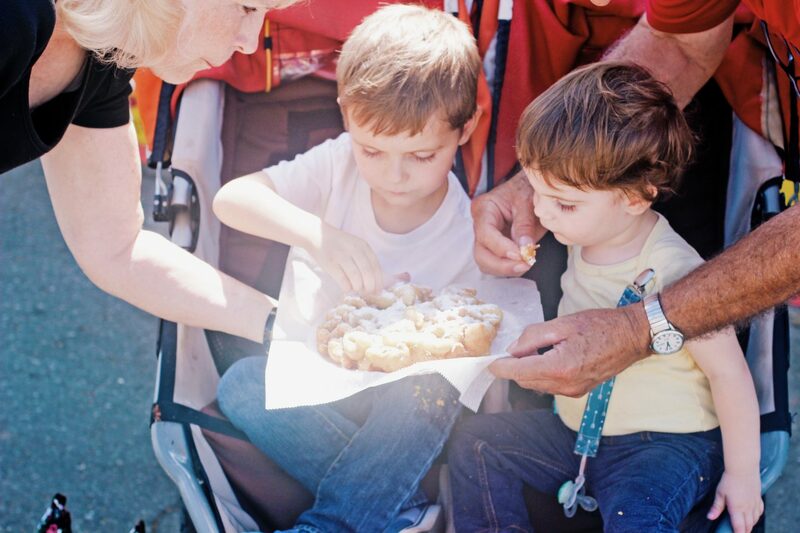 How about you, were you raised with simple fair food experiences, have you had to create that yourself, or is it something you hadn’t considered? I would love to hear your stories and fair experience advice in the comments. Previous Post How I Capsule Wardrobe? I still feel sick thinking about all the food we ate last year at the fair! And it is much more frugal to pick one or two favorites instead. Cute pictures! Isn’t it funny how it all smells so good. I always thought my parents limited it for monetary reasons, but as an adult it’s easier to see the full view of the reasons my parents did the things they did.